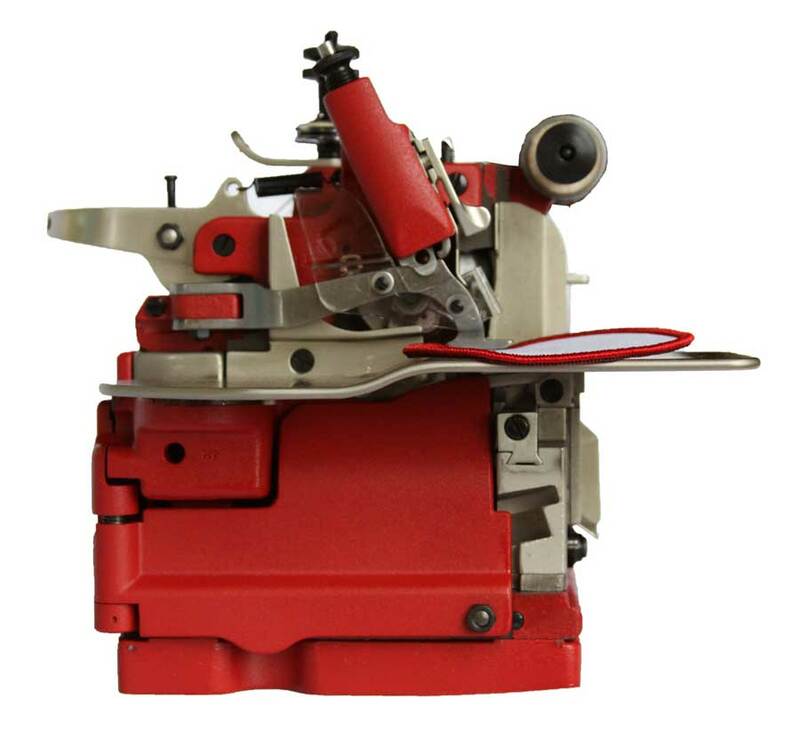 The Factory Refurbished M-3UIn 2008 Merrow began selling a factory refurbished model of its industry standard M-3U. These Sewing Machines are hand built on Merrow's assembly line in Fall River,MA and include less than 6% reconditioned parts. 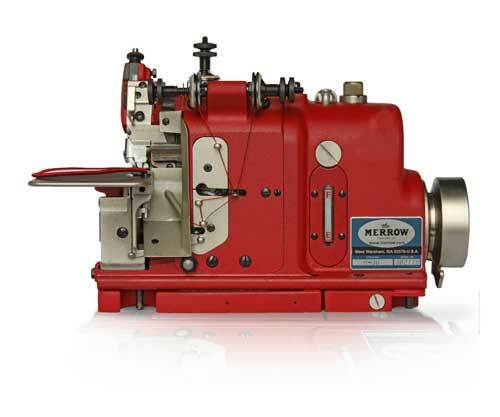 They are effectively new sewing machines: tested and sewn off after assembly with the same rigorous standards Merrow uses for all sewing machines built in Fall River, MA. The Refurbished M-3U carries the same warranty as all new machines. 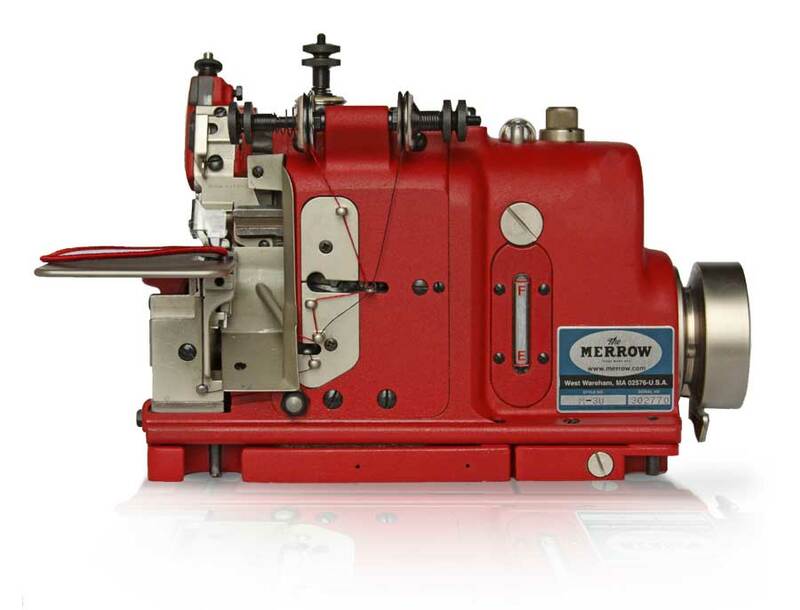 It is provided by Merrow: 'to reduce the overall cost of owning and operating Merrow Sewing Machines without compromising performance'. Please call Merrow if you have any questions or concerns about the refurbished line of machines. K-Leg Table with light A standard sewing table modified for the Merrow M-3U. It comes with a storage drawer, a sewing light, and treadle. Speed Adjustable Servo Motor Merrow has been pairing the Refurbished M-3U with this servo motor for more than two years. It allows the operator to easily run the machine at slow speeds (which can be very helpful when learning how to edge emblems). The Motor is warrantied by Merrow for one year. Please call Merrow directly with questions about the motor. Merrowing Thread Three spools are included, the color can be specified when you place your order. These are the same thread cones that Merrow will sew the M-3U off with before shipping. They are a 1LB Merrowing Thread cone, 1000 yards of a Merrow Tex 40, and 1000 yards of a Merrow Tex 70. 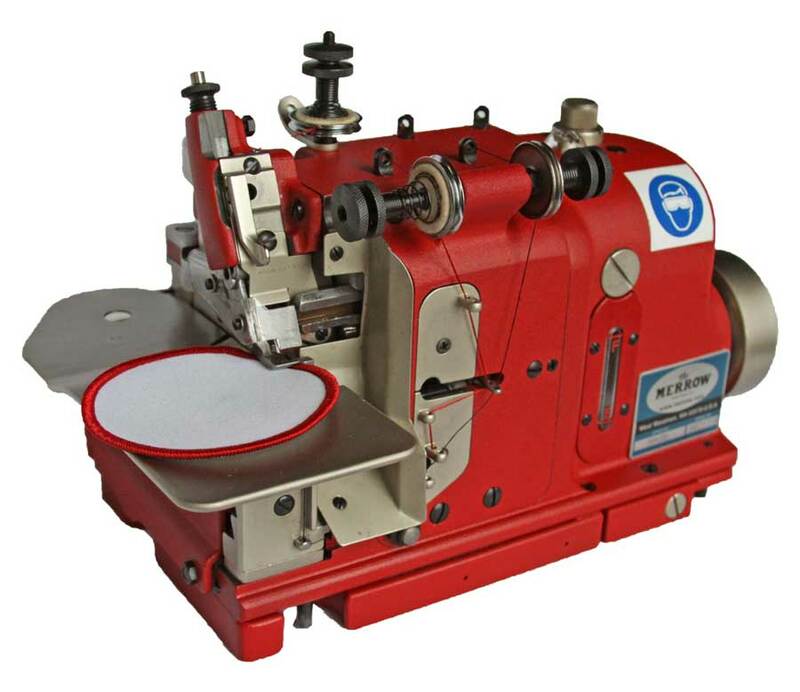 We will build out a custom machine, at no charge, and sew your material off on the M-3U EMBLEM (or other machine if appropriate). If you would like a video of the process we will provide this along with the sewn sample.